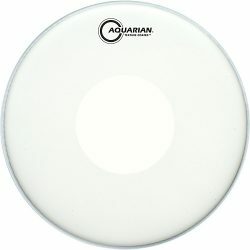 The Aquarian Classic Clear with Power Dot has the bright full sound of a regular Classic Clear, with added focus and durability. 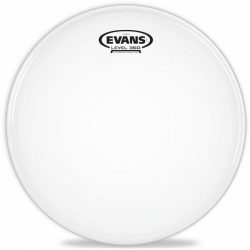 The Power Dot reduces ringing, adds projection, and allows these drumheads to be hit harder and last longer. 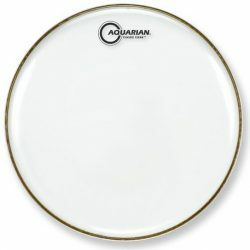 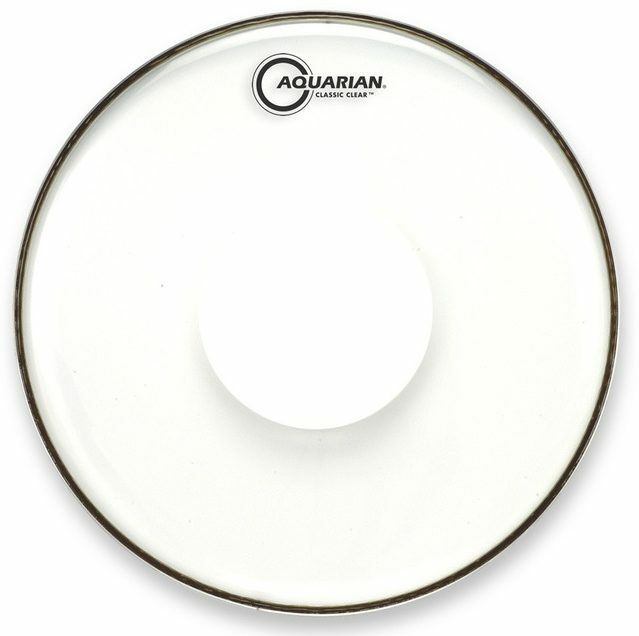 The Aquarian Classic Clear with Power Dot is a single ply 10mil drumhead, with a thin control dot in the center. 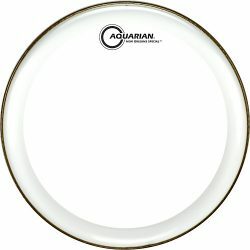 This drumhead is responsive, and can give you a good sustain without overtones getting out of control. 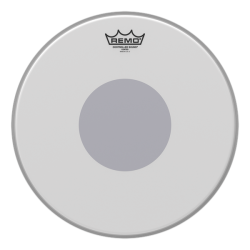 The Power Dot adds a nice attack and allows for a good cutting projection… Great for a drum sound that stands out in a mix. 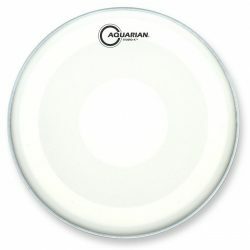 The Power Dot gives a little more control to the head, meaning slightly less overtones and a little less sustain compared to the regular Classic Clear. The Power Dot also improves durability and increases the attack, making this a great option for those who play a little louder but want to keep the openness of a thinner drumhead. 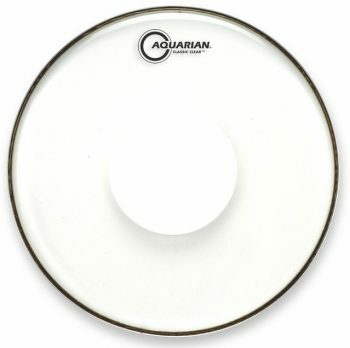 The Aquarian Classic Clear with Power Dot is great as a batter tom drumhead for a bright, full, and projecting sound. 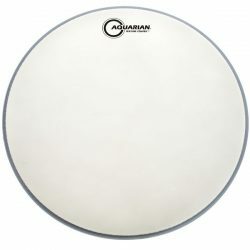 These drumheads also perform well as a snare drums batter head if you don’t plan on using brushes. 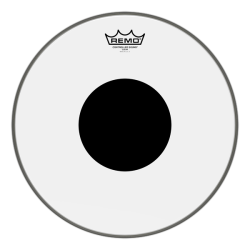 It has a nice cutting projection and moderate sustain, with ringing controlled by the Power Dot. 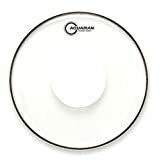 Tip: for brush use, you’ll require a coated drumhead – take a look at the Texture Coated Power Dot version.